Home » Contracts , Ebola , Force Majeure , Law , Statute. , West Africa » EBOLA OUTBREAK: IS IT A FORCE MAJEURE EVENT? 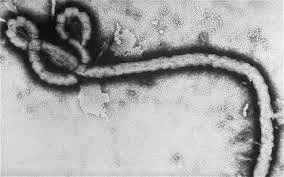 On 8 August 2014 the World Health Organisation (WHO) categorised the Ebola outbreak in Guinea, Sierra Leone and Liberia as a Public Health Emergency of International Concern. The potential impact of this epidemic is of interest to all multinational corporations with a presence in Africa, and in particular to those with projects, assets and personnel in those countries affected. The fact that the WHO has only twice previously described an outbreak in these terms underlies the severity of its impact, and potential impact, on construction projects in West Africa. On the date of the WHO’s announcement, a leading steel producer published a press release noting that contractors undertaking expansion works at its mines in Liberia had declared the outbreak a force majeure event and were moving personnel out of the country. The company noted that it was assessing the potential impact on the project schedule. This assessment will no doubt involve a review of its key contracts and the impact of the outbreak on completion dates and cost. A number of airlines have also cancelled flights to West Africa, and several mining companies have cut back on nonessential travel to the region. Multinational companies with interests in West Africa are implementing measures in order to manage the impact on their businesses in the region and beyond. Our clients are assessing potential exposure to the consequences of this outbreak and we highlight below two critical contractual issues that parties must be aware of in responding to this crisis. There is no English common law doctrine of force majeure. Force majeure is a principle borrowed from the French civil code, whereby a party will not be liable for its failure to perform an obligation where this failure has been caused by the occurrence of exceptional events outside that party’s control. If there is no force majeure provision in your contract, you will need to consider other remedies. It follows that employers and contractors faced with a real or potential impact from the Ebola outbreak will be asking themselves two high level questions: 1) Does this event fit within the definition set out in my particular contract or contracts? ; and 2) Has (or will) the outbreak, as a matter of fact, impacted (or will it impact) upon my performance or that of my counterparty under the relevant agreement? As noted above, the English courts have been reluctant to set out a precise meaning of the term ‘force majeure’. It follows that where the term is used in a contract; the ordinary rules of contract interpretation are applicable, such that each case will be different and turn on the particular words used in the contract. This English law approach is different to civil law jurisdictions in which the civil codes prescribe definitions of what is meant by force majeure. As a result, English law construction/engineering contracts typically contain an express definition of the phrase to avoid, insofar as it may be possible, uncertainty and the potential for disputes. Given the wide use of the FIDIC forms in international construction projects, it is instructive to consider whether the Ebola outbreak could be considered a force majeure event within the meaning of the relevant FIDIC clause, and whether the outbreak would give rise to an entitlement for additional time or money. Provided an event satisfies the above conditions, then under FIDIC it is a force majeure event (if Clause 19.1 is read in isolation). The FIDIC Red Book then goes on to set out a non-exhaustive list categories of examples for force majeure events, including war, rebellion, riot, and natural catastrophes (such as earthquake, hurricane, typhoon or volcanic activity). Clause 19.1 does not expressly reference an epidemic as a force majeure event (some forms of contract do), though that does not prevent it being such an event. The critical question to determine whether or not an Ebola outbreak is a force majeure event, is whether the four criteria set out above have been satisfied. There can be little doubt that the Ebola outbreak is an event which is exceptional; outside the control of commercial parties to a construction contract; could not have been avoided/overcome once it arose; and is not substantially attributable to either party. It would also be difficult to argue that a party to a construction contract could have provided against the risk of an Ebola outbreak before entering into the contract (though query whether or not such an outbreak was foreseeable). Entitlement to a force majeure event may well be very different in circumstances where the relevant clause includes a requirement that the event be unforeseeable (the FIDIC example does not). The element of foreseeability is incorporated in Article 1148 of the French Civil Code, which stipulates that a force majeure event must be unforeseeable, render performance impossible and be outside of the control of the party invoking suspension of the relevant contractual obligation. This is a higher threshold than that in FIDIC and we have seen agreements where parties have agreed to allocate risk in this way. 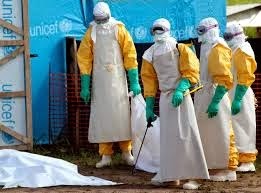 Given that, in recent history and in certain parts of West Africa, there have been Ebola outbreaks, albeit occasional and confined and not necessarily in the countries currently affected, an Ebola outbreak may fall foul of a force majeure provision that will not bite where an event is foreseeable. In any event, under the FIDIC Red Book, a contractor would almost certainly be entitled to obtain an extension of time in cases where it can demonstrate delay affecting completion. This would, of course, be subject to the time bar provisions found in Clause 19.2 relating to notice. The question of an entitlement to additional cost (remembering that cost is defined so as to exclude profit in FIDIC RED Book) arising from a force majeure event is more complex. Clause 19.4 makes a distinction between different kinds of force majeure events and where they occur. In fact, the entitlement to cost refers back to the categories of force majeure events listed in Clause 19.1. For example, an entitlement to additional cost will accrue in the event that war and/or hostilities in a neighbouring country (or indeed anywhere) effect the progress of the works. In contrast the balance of the ‘categories’ of events listed in Clause 19.1 must occur in the country of the works so as to qualify as a relief event and give rise to an entitlement to costs. An Ebola epidemic does not sit well in any of the categories listed in Clause 19.1, thus creating an uncertainty in the drafting. Is there an entitlement to an extension of time but no money? Further, if parties are undertaking projects in adjoining countries, even if they are proximate to the sites of the Ebola epidemic, does that preclude entitlement to cost? Whilst the drafting is unclear on this issue and there is no case-law on epidemics that would provide useful guidance, the best interpretation of the contract when read as a whole must be that there is an entitlement to an extension of time, but not necessarily any cost. Parties to contracts without an express risk allocation for force-majeure-type events may need to consider alternative routes through which to escape sanction/obtain relief. In such circumstances the English common law doctrine of frustration may be invoked to provide some level of protection to the party who would otherwise be in default. A contract will be frustrated only in very limited circumstances, where, for reasons attributable to none of the relevant parties, performance has become impossible, illegal or would be totally different to what was contemplated by the parties when the contract was formed. It is difficult to imagine a scenario where it might be said that the effects of the Ebola outbreak could not be mitigated through alternative methods of performance (for example, procurement of raw materials from alternate countries/sources unaffected by the outbreak, imposition of stringent quarantine and medical controls and different techniques and policies to protect the health and well-being of personnel on site). The English courts have made it very clear that parties will not be entitled to relief from performance for frustration merely when performance is rendered more difficult, time-consuming or expensive. In summary, the rights and obligations of employers and contractors undertaking construction projects in West Africa will be determined by a close reading of the provisions of the relevant contracts (and employing modern means of interpreting contracts holistically). In many circumstances, we consider it will be at least arguable that where an outbreak of Ebola has a demonstrable effect on the progress of a project, it will qualify as a force majeure event giving rise to an entitlement for time and/or monetary relief, depending on the express terms of the relevant contract. It may also be the case that in some civil law jurisdictions parties will be entitled to rely on the provisions of the civil code in that country to obtain relief. As the leader of the Eversheds Africa Law Institute network, and with a presence in 32 African jurisdictions, including Liberia and Sierra Leone, Eversheds is uniquely placed to assist construction clients across the region.